As a tourist in South Africa there are countless destinations to see. However, there are many attractions specifically in the Eastern Cape that surround Shamwari Private Game Reserve that are just as beautiful and thrilling to give you a taste of South African living. 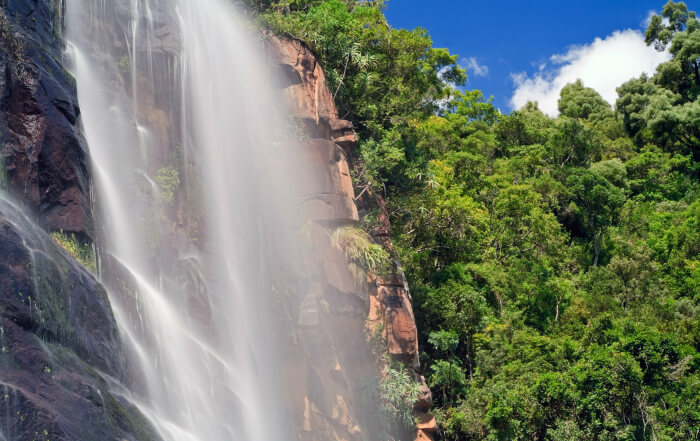 Many of these natural attractions are perfect displays of South African beauty. The Wild Coast is a strip of coastline that reaches from the Mtamvuna River in the north to the Great Kei River in the south. It is perfect for adventures on foot with all its hiking trails. It is also renowned for its shipwrecks which makes the diving and snorkelling water activities that much more enjoyable. One can also experience this spectacular place by 4×4 but it is best known for its hiking trails as it offers incredible views of the dramatic coastline, jagged cliffs, sheltered bays, wild beaches and rolling hills. For the animal lovers, this destination can be experienced on horseback. Baviaanskloof Valley also known as “Valley of the Baboons” is a section of mountain wilderness that is 90 kilometres west of Port Elizabeth. It is rich in fauna and flora. One is recommended to drive through the valley using a skilled driver as one will get to immerse themselves in nature where one will be encircled by birds and animals indigenous to that area. 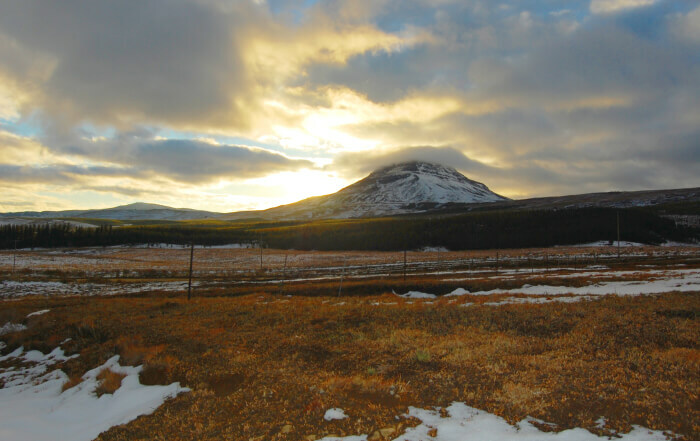 It is said that the little town of Hogsback was named after the three ridges on the Amathole Mountains that resemble the outlines of a hog’s back. In this town, there are many beautiful forests and valleys to get lost in. It is known for its quirky arts and crafts shops and garden tours that are all in walking distance to accommodation and are not to be overlooked. There is something quite mystical about Hogsback and it is beautiful all year round as each season brings its own magic. 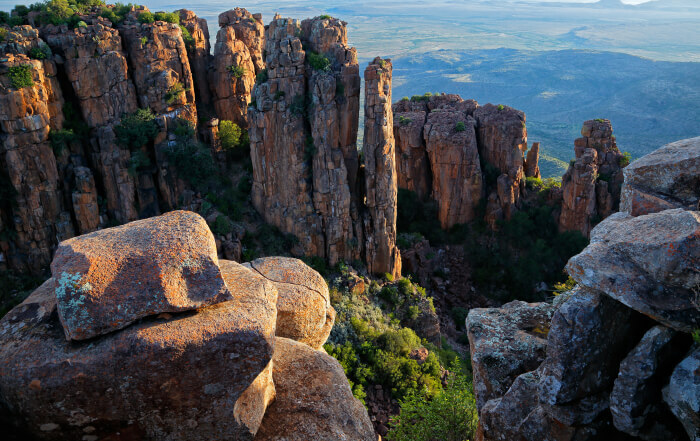 The Valley of Desolation is a national monument in the Eastern Cape of South Africa. It surrounds the town of Graaff Reinet in the Karoo and is in the Camdeboo National Park. The landscapes in this destination are like no other and the artefacts transcend to those of the stone age. There are also markings that have left by the Khoisan people in the east of the national park. The best recommended time to visit is in Spring. Jeffreys Bay is last but not least on our list of destinations to visit in the Eastern Cape of South Africa. It has some stunning beaches and is known as one of the top 10 surfing spots in the world! It also happens to be less than an hour from Port Elizabeth and there are many possibilities when it comes to activities in the town. One can partake in some retail therapy, or dolphin watching and water sports for those that like to be more active. 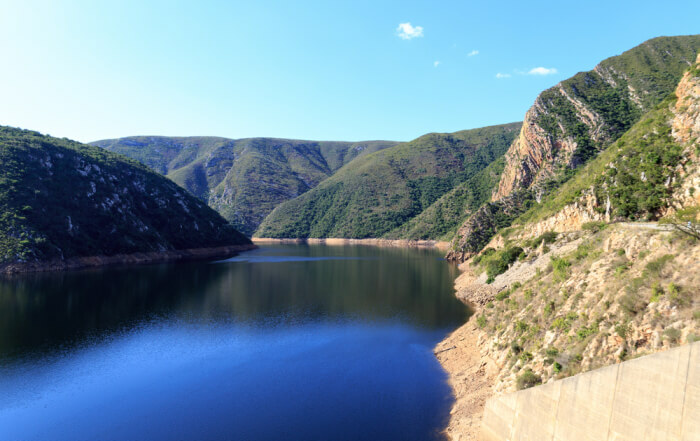 There are numerous other destinations to visit while you’re in the Eastern Cape of South Africa, it may not be the best known in terms of a holiday destination however, it is not to be overlooked when planning your trip to make sure you have the holiday of a lifetime! The flightless Dung Beetle is a rare species endemic to Southern Africa. The reintroduction of this species is one of our success stories at Shamwari.